Standards for specifying and ensuring the durability of new concrete structures are commonly of the prescriptive kind. 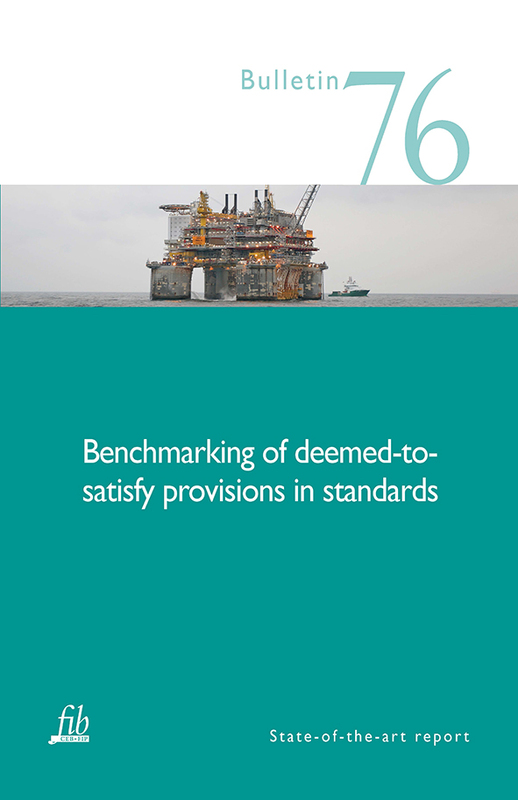 fib Bulletin 76: Benchmarking of deemed-to-satisfy provisions in standards - Durability of reinforced concrete structures exposed to chlorides presents the benchmarking of a number of rules for chloride-induced corrosion as given in national codes such as European, US and Australian standards. This new benchmark determines the reliability ranges in the chloride-induced depassivation of rebar if the deemed-to-satisfy rules of different countries are taken into consideration. It does not only involve (probabilistic) calculations using input mainly based on short-term and rapid laboratory-test data but also involves input based on an independent assessment of existing structures. The reliability analyses are carried out using the probabilistic design approach for chloride-induced corrosion presented in fib Bulletin 34: Model Code for Service Life Design (2006), fib Model Code for Concrete Structures 2010 and ISO 16204:2012. The work compares the calculated reliability ranges thus determined with the target reliabilities proposed by current specifications and, based on the comparison, offers a proposal for the improvement of deemed-to-satisfy rules and specifications. fib Bulletin 76 presents and discusses in detail the input data for the examined model parameters and offers an extensive annexe documenting the values of the individual parameters used in the analyses. It thus provides a reliable database for the performance-based probabilistic service-life design of concrete structures exposed to chlorides, be they in the form of salt fog, sea water or de-icing salts.